These fun basketball games for kids are perfect for team workouts with your elementary age players. They focus on dribbling the ball under pressure while changing directions and speed. Players learn quickly to keep their heads up so they can navigate across the playing space. Everyone has a ball and spreads out around the court, which is the "Henhouse." Coach is the "Fox" and roams around outside the boundaries of the court while the kids ("chickens") dribble around. When Coach yells, "Fox in the henhouse!" she runs onto the court and tries to knock players' balls out of bounds. Everyone who loses their ball joins the Fox. If players are able to get their ball back before it goes out of bounds, they can pick it up and resume dribbling. After a short period of time, stop play and have all of the Foxes gather outside of the court. After players get a bit of a breather, resume play. The winner is the last player with the ball, and he gets to be the new Fox for the next game. This is one of the all-time favorites among my little kids! It focuses on dribbling under pressure and avoiding defenders. Plus, it's great for basketball conditioning. Designate one player to be the "Car Salesman (CS)." All the other players are "cars." The CS tries to knock the ball away from the cars that dribble by. It works best at first if the coach or some other adult is the CS to help control the game. The CS asks players to select 4 different types of cars (motorcycle, Ferrari, bus, SUV, etc.) The kids love coming up with types of cars. Once 4 cars have been selected, each player secretly decides what kind of car he will be. The CS calls out the name of a car. All players who chose to be that car attempt to dribble to the other line without getting their ball knocked out of bounds by the CS. The CS continues to call out car names until all players have gone. If the CS calls, "Car Lot," all of the remaining cars must go at the same time. Once all of the cars have been called, the CS turns to face all of the cars at the other end and starts calling out names again. 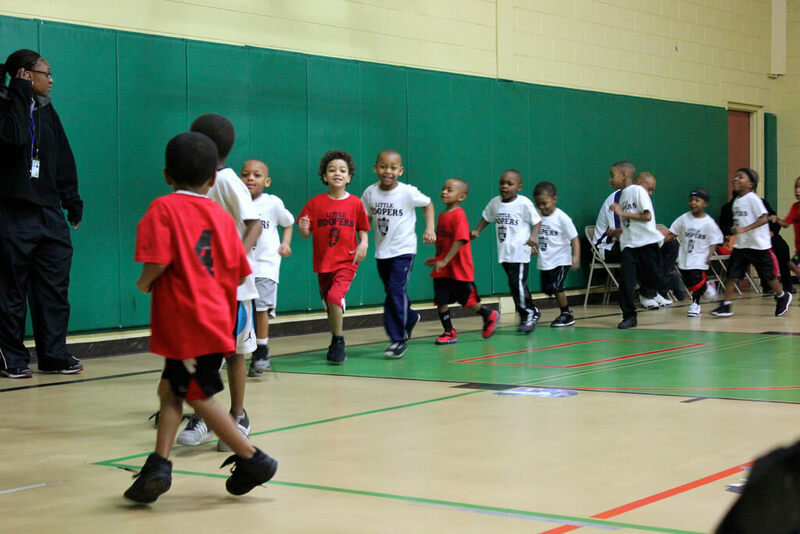 The dribblers try to cross the court back to where they started. When a player loses his ball, he must stand at the spot where he lost it and place the ball on the floor between his feet. He can't move from that spot. His job is to reach out and try to knock the ball away from other dribblers that go by. The game is played until there is only 1 dribbler left. Coaches can make this drill a huge success by chasing players hard enough to make them work, but allowing them to make it down and back a few times before knocking their ball away. You might start out with 2-3 Car Salesmen if using a bigger court or if it's too hard to catch anyone. As the game progresses and the court starts filling up with "stranded cars", the few dribblers that are still in the game have an incredible challenge of dribbling around lots of obstacles. To start a new game, select another CS, decide on 4 more types of cars, and repeat. Kids really have a blast with this game. Designate 1 player to be the Pirate for every 4 players. Pirates start at one end of the court without balls. Everyone else gets a ball and scatters around the entire court. On a signal, the Pirates chase the dribblers and try to steal their balls. If a Pirate steals a ball or causes the dribbler to lose the ball out of bounds, the players exchange positions. The dribbler who lost the ball becomes a Pirate, and the Pirate becomes a dribbler. The object of the game is to last the entire game without becoming a Pirate. 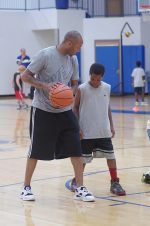 With kindergarten basketball players, have the coaches or parents be the Pirates to control the level of success the dribblers have. Plus, little kids get excited having adults chase them around acting goofy.